Despite having packed away most of Abi’s possessions (though some are to hand so that we can look at them when we want to), I’m still coming across little reminders of her. I recently noticed this picture again as I was washing up. It’s a faded magnet we bought when Abi was a baby that we stuck on our boiler in the kitchen; it’s been there ever since. The picture is of Abi and her dad on our first family holiday (in Torquay). She was so cute, and she truly was the apple of her daddy’s eye. 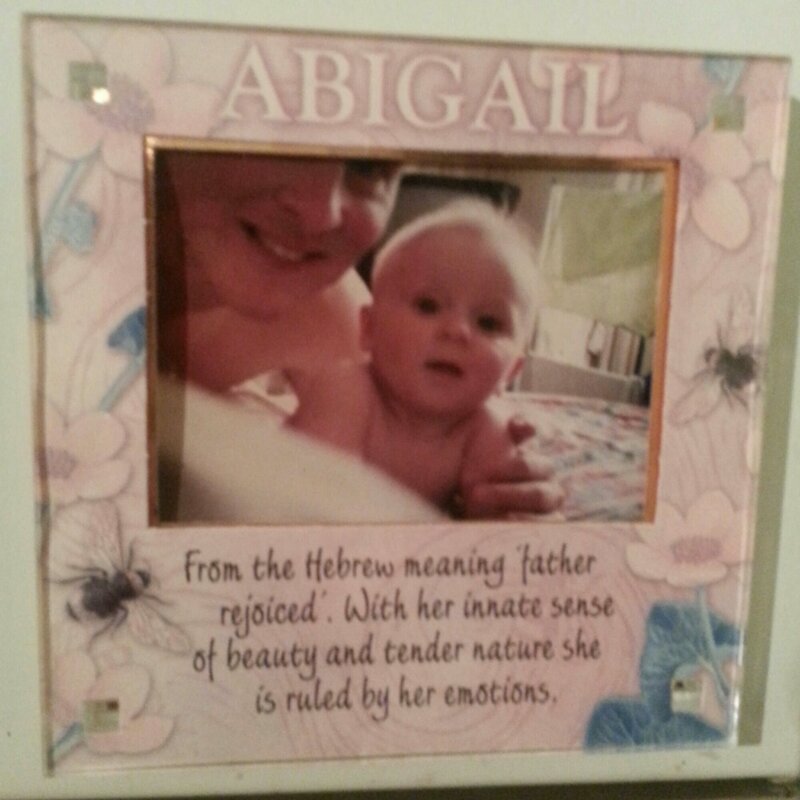 This entry was posted in Life with grief, Remembering Abigail by Chasing Dragonflies. Bookmark the permalink.